The HeartCare Unit’s universal bed model is the only one of its kind in the region, which allows the patient to stay in one room throughout their recovery process. Medical research supports this model of care, allowing for better continuity of care and outcomes for patients. 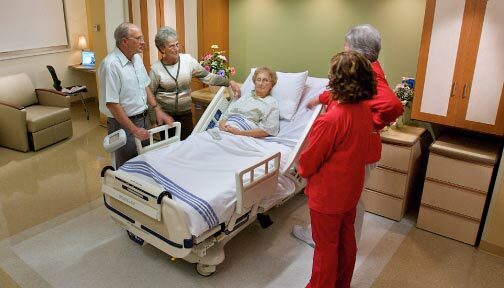 With the Universal Bed Model, the patient’s room essentially changes throughout the open-heart procedure, starting as an intensive care recovery room on arrival from surgery and transitioning to a calming home-like environment with family space and amenities as the patient recovers and plans to return home. Our goal at the SOMC Heart Care Unit is to allow families to be involved in all aspects of care, so they can feel more confident and safer, easing anxiety and decreasing the amount of time the patient may need to stay in the hospital.